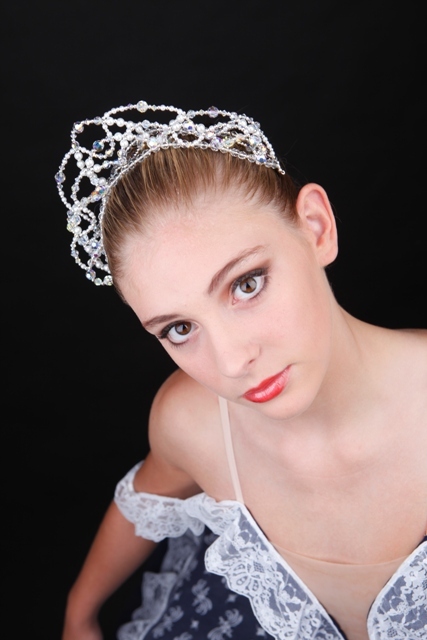 Brand New - Coppelia Tiara, handmade using the finest Swarovski Crystal and perfect shiny glass pearls. The ballet is about a girl named Coppelia who sits on her balcony all day reading, speaking to no one. A boy named Franz falls deeply in love with her and wants to marry her, even though he is already engaged. His fiance, Swanhilda, sees Franz throwing kisses at Coppelia. Swanhilda soon learns that Coppelia is actually a doll that belongs to Doctor Coppelius, the mad scientist. She decides to impersonate the doll, in order to win the love of Franz. Chaos ensues, but all is soon forgiven. Swanhilda and Franz make up and get married. The marriage is celebrated with several festive dances.